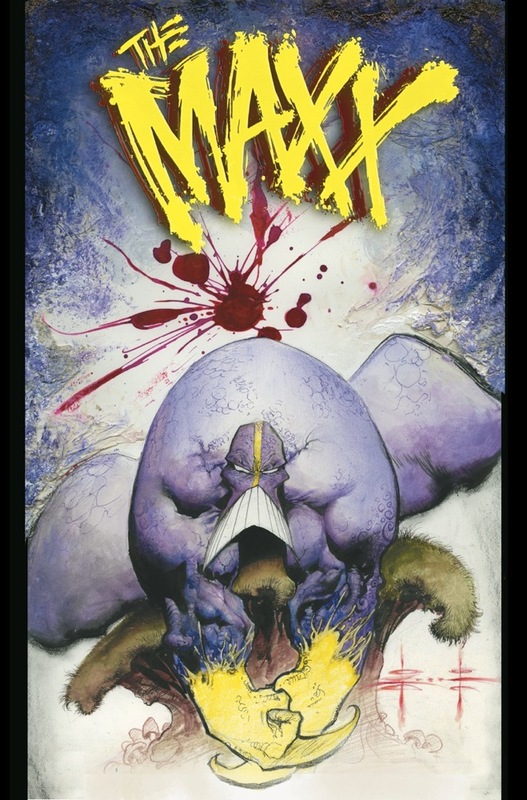 Home / News / Uncategorized / Sam Kieth’s The Maxx is back! Sam Kieth’s The Maxx is back! San Diego, CA (July 1, 2013) – Sam Kieth’s The Maxx was a runaway sensation when initially published. Kieth’s exquisite artistry and quirky stories resonated with readers who had never seen anything quite like it before. Exploring the strange relationship between two realities, The Maxx follows the dual identities of a man caught between the real world and a heroic fantasy realm called The Outback. The Maxx ran for more than 30 issues and inspired a popular animated show on MTV. Now, 20 years later, the striking series is returning to comic shops with fully re-mastered and re-colored printings of the classic stories, and all supervised by Kieth to ensure the highest possible quality. The Maxx: Maxximized will also feature brand-new painted covers by Kieth Additionally, IDW will-for the first time ever-release a series of hardcover Maxx collections. And if that wasn’t enough, there will also be Artist’s Editions enabling readers to finally see Sam’s beautiful and delicate line work as they never have before. Kieth will also create a set of three comprehensive new art books called The Worlds of Sam Kieth that will showcase his incredible powers as an artist, but also tell the story of who he is and how he came to be the artist he is. The first volume is debuting at this year’s San Diego Comic-Con International. The original artist on Sandman, which he co-created with Neil Gaiman, Kieth’s enchanted style quickly grabbed the attention of readers, and his success allowed him to explore his own creations with The Maxx and Ojo. While his career in comics has found him working on some of the most iconic characters, he is arguably best known for creating The Maxx, and IDW is looking forward to being intimately involved in the next chapter of this classic character’s legacy.